A follow-up to the animated 2010 DreamWorks hit about a young Viking boy and his flying dragon, this soaring sequel has grown along with its audience. This new Dragon reunites director Dean DuBois with most of the original vocal cast (Jay Baruchel, Gerard Butler, Craig Ferguson, America Ferrera, Jonah Hill, Kristen Wiig, Christopher Mintz-Plasse) and takes place five years after the events of the first movie, as Vikings have learned to coexist with dragons instead of slay them. Now, as we see in the movie’s high-spirited opening, the feisty fire-breathers have become part of the everyday life of the mythical island of Berk, where they’re used for transportation, recreation, companionship and commerce. And certainly a bit more complicated and dangerous—at least compared to the first movie. 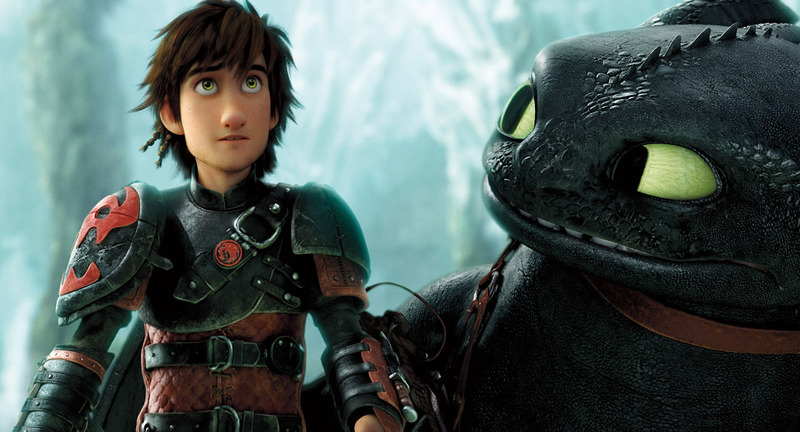 As Hiccup, now a gangly teenager, sails through the skies on his trusty night fury, Toothless, with his female friend, Astrid (Ferrera), he discovers a place where the inhabitants don’t see things—or treat dragons—the way they do back on Berk. The first Dragon, praised by both critics and audiences, combined a rollicking, family-friendly story (adapted from Cressida Cowell’s British book series) with marvelously rendered, high-tech animation, plus a cast of colorful, amusing characters—and some dazzling scenes, especially if you saw it in 3-D. Dragon 2 upholds those high standards, even pushing them up a couple of notches. The whole movie looks fantastic—fluid, textured and alive. But the real beauty of the first Dragon, and now this one, is how director DuBois and his team never approached them as purely “kids’ movies.” They always aimed higher than that, without ever losing sight of the children who’d find the most resonance in the fantasy-storybook-adventure elements of the tales. Witty, rousing, heartwarming, sensational-looking, and at times touching, uplifting and even moving, “How to Train Your Dragon 2” is another fine feather in DreamWorks’ cinematic cap, and proof that it is, indeed, still possible for Hollywood to make movies that virtually all ages can enjoy, appreciate and admire. The movie studio created in 1994 by Steven Spielberg, Jeffrey Katzenberg and David Geffen quickly became a major Hollywood player, and this handsome, high-end coffee-table book celebrates the production company’s achievements in animated films including the Shrek, Madagascar and Kung Fu Panda franchises, as well as single releases such as Chicken Run, Puss in Boots, The Prince of Egypt and the recent Mr. Peabody and Sherman. 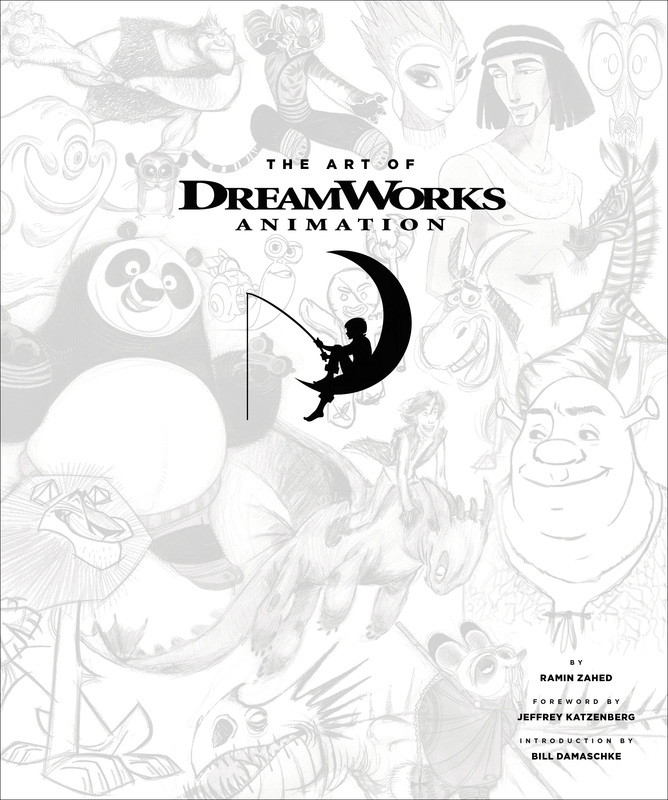 More than 320 sketches, production designs, computer-animation graphics and still reproductions are accompanied by commentary from DreamWorks artists and movie directors, making for a gorgeous guided tour inside one of Tinseltown’s most successful fantasy factories.